GMP Global Marketing Inc. – GMP Global Marketing Inc.
GMP Global Marketing, Inc. is devoted to producing the highest quality nutritional products and is committed to manufacturing supplements that are unconditionally guaranteed in quality, purity, and potency. By providing high quality products, GMP is strongly positioned to be an ongoing partner and resource for our clients. This commitment underscores our dedication and loyalty to our customers. Discover the experience our customers have known for many years. GMP Global Marketing Inc. is a company that was incorporated in 2013, and was originally located in Chino, California. We market and sell a wide range of vitamin and nutritional supplements through a network of preferred retail partners along with an online e-Commerce platform. 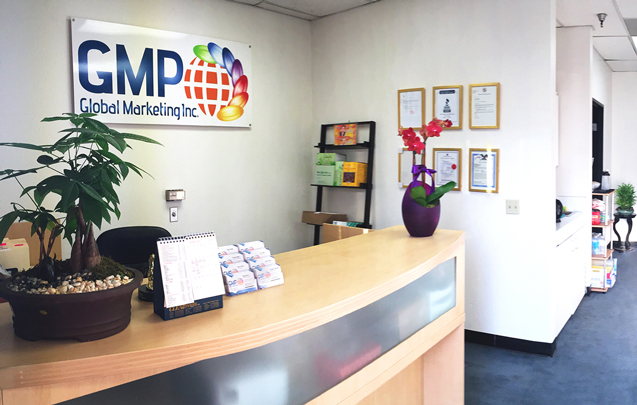 With the Market needs and expansion of the company, GMP Global Marketing Inc. later relocated itself, in 2016, to its NEW LOCATION in the Los Angeles County. Although our location may have changed, the PREMIUM and quality of the products and services we supply, are still and will always remain the same. GMP Global Marketing Inc. is a company incorporated by 2013, Located in Walnut, California.